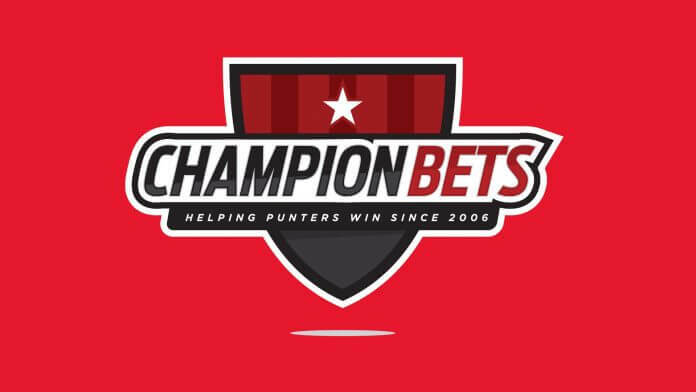 Some time back we featured Robbie on the Betting 360 podcast. This sort of knowledge is always relevant, so we look back on the chat to get his key points. I’m very old fashioned the way I do the form, a la Don Scott. It’s the way I’ve always done it, and the way my father did it. I deliberately don’t look at what anyone else thinks or what the markets are, virtually until I go to the races. If I looked back to what I was doing 30 years ago, I don’t think it’s changed much at all. Perhaps I think some factors are a bit less important than they used to be; other factors are a bit more important. I think I’ve been pretty constant in the way I’ve done it. I find them of little use to me. I know some people love sectional times, but if the overall race time is slow and the sectional is fast, I think it’s of little use. If the sectional is fast and the overall time is fast, that’s a good horse. I think the overall time is much more important than the sectional. I think all analysts and all punters love their horses to be near the lead. The horse that leads wins 25% of races. The closer you are to the lead in a race the more chance you have of winning. It does vary by track. At the long straight at Flemington, leaders have less chance than they do at say Moonee Valley. The point is this: you get a better price in the long straight for the leader at Flemington and a much worse price at Moonee Valley. From a punter’s point of view, the advantage is always to be on the horse near the pace. Look, I suppose what I’d say first of all is that trainer changes are of great importance and there’s only an advantage, a small advantage when the horse is lightly raced. I think the better trainer gets more out of the horse more quickly than the lesser trainer, but once they’re an exposed horse I don’t think it makes any difference. There’s no doubt that some trainers are better at getting horses ready fresh and other trainers aren’t, and that does play a part. I’m very conscious of looking at first-up horses, as to who the trainer is. Look, there’s no doubt that the better jockeys win more races than the worse jockeys, but the market does take it into account, perhaps even more than it’s entitled to be. I think the jockeys are a little bit overplayed by the public, and I find myself betting against some of the better riders and hoping for the less fashionable riders. Even the bigger races. I think they occupy too large a part of the market. I have strange views in regard to barriers. I think people worry too much about barriers. Wide barriers don’t concern me at all, and especially if they have a bit of pace, I think it’s of little worry, little concern. I always marvel, people keep telling me that weight is of little importance, but when the weight-for-age races come around all those people disappear and don’t seem to be having a bet. Of course there’s a huge swing in the betting market, because of the level weights. Weights obviously play a huge part. I think it’s interesting that the same people say weight is of no importance, now they’ve raised the top weights to 61 in New South Wales those same people are complaining of the weight being too much. Look, weight most certainly plays a part, a lot more than most punters say it does, but I don’t see it being an overriding factor. I don’t think there’s a difference between 60 and 61 as compared 58 to 57, but there is a difference of course that the longer the race is the heavier the weight is. Look, it’s funny, Gai likes to win her barrier trials and other trainers don’t like to win their barrier trials. Barrier trials have always played a big part in working out the chances of first starters. I don’t think it’s changed much over the years. I think perhaps more horses try now in barrier trials than used to. That’s perhaps the biggest difference. Wet tracks are problematical. I suppose the first thing I could say is there’s sort of a concertina effect where favourites should be a bit longer and outsiders should be a bit shorter. Obviously, experience in the wet is of great importance. I’d guess if I were to say, it’s better to run a bit poorly on a wet track than to have had no experience at all on a wet track. I think horses learn to handle going. I don’t watch the replays, I suppose because I find them a bit boring. I do employ someone who gives me a report of every race everywhere, which is great. It’s hard to make any money betting off what you see on videos. I think it’s so over-fished. I think that the market is right on to everything that was in the video last week. The analyst that does this bit of work for me, I ask him rather than actually write a detailed comment, in most cases to say if that race were re-run again what price would you mark each horse? Occasionally we’ve had in the past a race that’s been declared a no-race for whatever reason and they’ve run the race again after the last race. With the benefit of actually seeing what happened in the first race, you would have an idea what the betting should be in the re-run of the race. I’m saying if the race were re-run, having seen the race run today, what would it be tomorrow that same race? The horse that perhaps started even-money favourite and won the previous time, you’d say would actually be a bit longer than that and be 6/4. The horse that started 50/1 and ran a flashing third you may say obviously that horse should only be an eight to 10-to-1 chance. I think one of the problems with doing comments is it’s easy to find an excuse for every horse in the race and saying nice things about it, whereas if you’re actually doing a market to 100 percent there’s nowhere to hide and you find that it’s easy to feel what’s actually being meant. Having said that, it’s hard to make any money out of it. Replays are very well dissected in Australia. I suppose the most successful people are the people who are disciplined. As you would have heard people speak of, I think the Kelly Criterion is the key to successful punting, which basically just means you have a good staking plan. I approached it that way before I ever heard of Kelly, but that’s the right way to approach it. I think most successful gamblers, they’re very aware of that concept. Click here for the podcast and a full transcript of the conversation.